It's been a while since I wrote my first post in my new series, How I Found My Beautiful Life. CLICK TO READ I'm not sure why it's taking so long for the second post to get written―I have been giving it a lot of thought, dreaming about what to share next, but so far nothing's been gelling. As I wait, I begin work on this new post about that lovely old movie, The Secret Garden. Many years ago when my really kindred bosom friend, Jean, and I were housemates―long before either of us were married―we used to watch the 1987 Hallmark version of The Secret Garden. We loved it and were both drawn to a line the crusty old gardener said in the movie: "Where you tend a rose, my lad, a thistle cannot grow." We loved that line and would often quote it to each other with an English accent. It fit so well with our growing desire to think good thoughts and to pull up any that were weedy and noxious in nature. Although you can hardly imagine it (wink), I used to be a bit of a whiner-grumbler if things weren't quite to my taste or satisfaction. I'd feel a keen sense of loss and disappointment when things didn't turn out right or if I felt hard done by. I would most often whine inside my head about these things, but sometimes folks around me heard about it too. One thing I really disliked was getting up early in the mornings. I was a night owl and it was a real chore to get ready for work. It was always the hurry, hurrying to get out the door on time which made me feel owly. It was so stressing. You can be sure I stood up straight and took notice. Shocked was I to hear the Lord's voice so clearly. He was not amused that day. Not sure why he took exception that particular morning, deciding to say something that would get my attention. Although I can hardly blame him for piping up, having to listen to me muttering away every single morning. Someone might ask how I knew it was God speaking. You see, I have always believed there is God and, at that time, Jean and I had been practicing to listen for the still, small voice, so we would grow to recognize it. I wanted to be able to hear him speak when I asked for direction, when I wanted to learn something about his ways, or when I needed encouragement, that sort of thing. But, until that moment, I'd never heard the Voice so definite, so clear ... yet I knew it was him. And, I knew I deserved the reprimand. Never shall I forget that moment. It was a life changer for me. I became very aware of my attitude and how I was processing my inward thoughts about all kinds of things. I didn't realize just how negative I was inside. I did a decent job of covering it up most of the time, but my heart was a bed of weeds and thistles. I eventually told Jean about my encounter and she very nicely created a sign which we posted on the refrigerator door. WHINING, in bold letters, inside a big circle with a diagonal line drawn through it. You get the idea. The reminder was ever present and I sorely needed it. I was so glad. I wanted my thought life to change. I wanted to think beautiful thoughts. For, not only could I hear the wilderness of thoughts in my own head, but Someone else could hear them too. I wanted him to hear thoughts that were lovely and worthy, honourable and seemly, winsome and gracious. I wanted those kind of thoughts for myself for we've heard it said, as a woman thinks in her heart, so is she. That's who she becomes. As I worked to change this icky habit, eventually my thoughts grew less negative and, thankfully, less grumbly. The other lovely thing that happened was that my whole life brightened because my inner world had taken a turn for the better. I started to see things differently, and I began to look for the beauty in the middle of whatever was happening in my life, pleasant or unpleasant. As I say, it became a life changer. To this day, when I catch myself starting to grumble, I remember the divine encounter I had that morning so long ago. I also remind myself of Miss Burnett's lovely thought about where we tend roses, thistles cannot grow. And that, dear readers, became an important step in how I found my beautiful life. On to what I wanted to tell you about The Secret Garden. As I said, Jean and I both enjoyed watching the 1987 movie, which included a very young Colin Firth, who played the adult Colin Craven when he came to meet Mary Lennox in their secret garden as young adults. They say it's a movie for children, but really, it's for anyone young at heart. And any lessons we can glean from it are worthy at any age. Did you know that there is a remake of The Secret Garden in the works? And, Colin Firth is to once again have a role in this story. Thirty years later, he'll be playing Mary's benevolent, yet neglectful guardian Archibald Craven (formerly played by Sir Derek Jacobi). Do you think he'll make a good Archibald Craven? I certainly think so. From all accounts, the story, which was being filmed earlier this year, is to be tweaked from the original, with the latest film to be reset in a slightly later time period, removing it from the Edwardian era to shortly after World Word II in 1947. It will be on the eve of Partition in India and in the aftermath of the war in Britain. I'm always a little nervous with remakes of old favourite films. We get attached to what we knew first, don't we? So, to the fans of The Secret Garden, will you be okay with the story shifting to a later time in history? I think it can still work. It will be interesting to see how it all unfolds. I could not find a release date yet, but it's something new to watch out for. and making me breathe fast." “But the calm had brought a sort of courage and hope with it. Thank you for sharing your life-changing moment with us. And your Muse, what a smart cookie to be able to help you bring together the loose ends so marvelously! 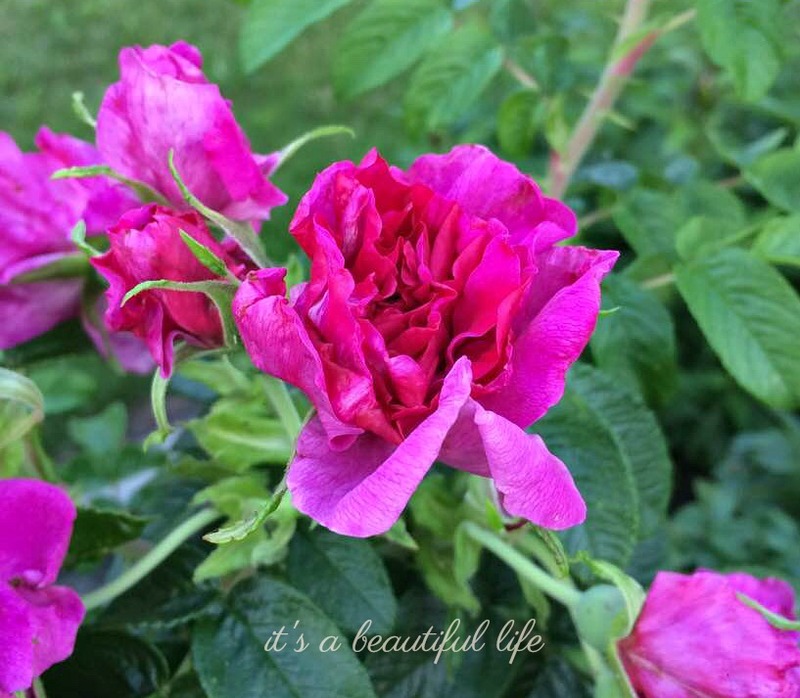 Such a lot of wisdom in the quote about the tended rose not allowing for thistles to grow. A most lovely post altogether! love your gems of wisdom...I learned something about me yesterday as I was complaining (whining) about a task to be done, I realized it took more energy to complain than it did to complete the task so I got to work...amazing! Oh how I love this post! That is such a wonderful personal story of growth and the tie into The Secret Garden is delightful! I’m going to print that quote out and hang it where we all can see it! Thank you for adding to my beautiful life with your word, Brenda! I know that when I see a post from you, I need time to read it, so saved it for this afternoon to savour. You write so touchingly Brenda, with such feeling and humour too. The Secret Garden is one of my very favourite books. I have read it myself, over and over, read it to my children and read it to a class of children. I learn something of the mystery of a garden each time. Of course I could never imagine you as a whiner! But tell me, were you a fly on my wall this morning? If so I thank you for sending this post out so I could read it. The odd thing is that I'm not so much of a verbal complainer but I do have to watch my mind because it goes its own stubborn way sometimes. And this morning my mind was doing the exact opposite of what I believe in. And before I sat down to my computer I'd already had a talk with myself, asking myself if God was putting those thoughts in my mind. That always works because we both know that he doesn't! Now I am smiling at myself and ready to get up with my mind in a much different framework. Because I too adore The Secret Garden, checked it out of the library in the 7th grade and fell in love with it, walked around for days with the expectation that there were secret gardens out there and if there wasn't then I wanted to make one. And I love the old movie you wrote of, and love the old black and white one, and I don't want to miss the remake. If Colin Firth is in it, I have faith that the time difference won't matter, maybe I'll even end up loving it more than the earlier one. I do love the 1930s and 40s period so much anyway. Please let us know if you here a release date! I'm so glad that you told us of your divine encounter! Makes me want to read the book now and see what other gems the author has for her readers. Thanks for stopping by, Sandi! There seems to be quite a fan club. I absolutely enjoyed every word of this post!! The, Secret Garden is one of my favorite movies, especially the 1987 version, I could watch it once a week. The quote is perfect, and one I am going to write down and put on my refrigerator, so I can see it daily. I tend to whine and well...don't tell anyone... ;0) It really is my hearts desire to only think good things about every situation, and to have a kind heart. I loved your story. We are all human, and grumbling is just one of those things we do. It's such a wonderful thing to hear that, still small voice, but it's even more wonderful to do what It asks of us. Your photos were gorgeous! Thank you for inspiring me! Thanks so much, Barb, for your lovely comments! Oh how easy it is to slip into a habit of negativity! I try very hard to see the good and the beautiful in life around me. Trust me, there have been times when I could not see it,at least not until much later.Thanks for sharing these thoughts. From your post, Bren, may I borrow this quote? “But the calm had brought a sort of courage and hope with it. We've had changes in our lives this past while, so much so that this morning I was having a talk with myself. Not because of the circumstances, but because of my attitude. I suspect God was listening to the conversation too, encouraging me to think of better things instead of dwelling in the Land of Negativity. Today I've been running into books, like The Secret Garden, that I'd like to reread. And then of course, there's my list of "first reads." 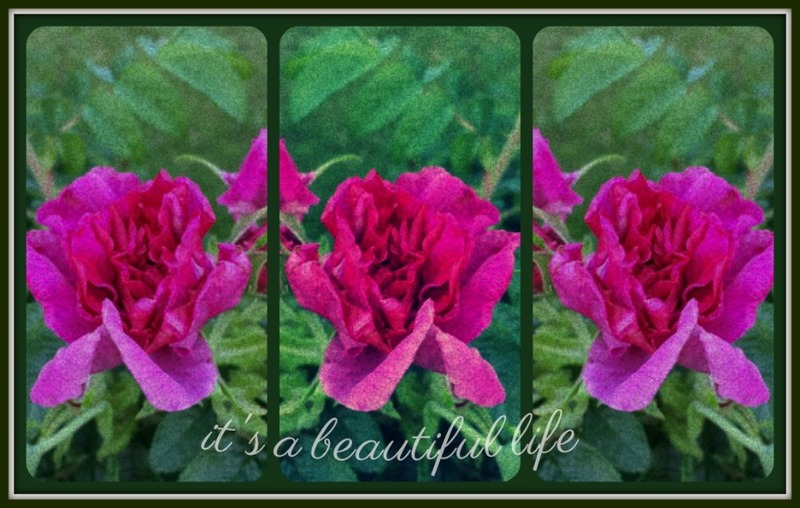 Your blog is a lovely end to a day when I chose to look on the beautiful side of things. Smarties on top of the cake? One day at a time and one book at a time. That's all I can do. Blessings, Brenda. So many beautiful words Brenda,thanks for sharing that. I would love to watch the "Secret Garden" movie with you sometime soon! Ah, Brenda - how I loved and enjoyed this post. I thoroughly enjoyed your every word. So much so, that I read it through twice. Your blog is always a special treat and through your beautiful writing, you give us beauty, inspiration and thoughts to ponder. Thank you for sharing your life with us, it truly is beautiful! I appreciate your candor in this timely post as I'm also trying to curb my whiny tendencies. I don't I've ever seen the original Secret Garden movie so I must check it out! I love Colin Firth! Another lovely post that has been sitting in my Feedly box until just the right moment. This quiet, warm summer day, with just the sound of a bee droning on against the window (I'll guide him outdoors soon) was perfect. How clearly God speaks sometimes and directs his children. I think I saw the movie a long, long time ago and would love seeing it again. I'll look it up. I approach re-makes with apprehension. I've heard enough about the Anne of Green Gables remake to know I won't be watching it. I hope this one is better. Thank you for your uplifting words, Brenda. Your writing just gets better and better. Thanks to your inspiration, I just finished watching The Secret Garden on Youtube. The quality wasn't the greatest, but oh, what a lovely, lovely story. I didn't realize that it was filmed at Highclere and how delightful it was to recognize rooms in the house that we all know and love from Downton Abbey. How different lighting and atmosphere can make a room appear. Lorrie, Mom and I are setting a date to watch it soon. Make it a party with tea. What fun to learn that it had been filmed in Highclere! Love that. Now it's a double treat. I am inspired by how this book and movie made such an impact on your life, Brenda, as well as Jean's. I read the book when I was about ten years old. It created a penchant for my living in a fantasy world much like the secret garden for years to come. A place with wonder and possibilities. I'm so happy to see another post, your last post was my first time here and I'll say again, you write so well. I totally enjoy my visits! Jane, I'm sure I read it as a girl, but the story made its bigger impact when we saw the 1987 movie. I do understand your idea of creating a fantasy of a 'pretty world' in our own minds. We can live in that place in our thoughts, and when we come back to 'reality' somehow stains the world around us with a touch of that beauty. Dear Brenda what a great sharing. I too have received His counsel for the very same thing. Isn't it wonderful when He doesn't leave us alone but works with our heart's attitude. I must check out that new remake of The Secret Garden. Have a beautiful day. Hugs!